This isn’t 'managing demand' – it’s playing whack-a-mole with it. Jeremy Hunt is considering stopping walk-in patients from attending A&E unless they first have a referral from their GP or 111 service, it emerged today. The Department of Health issued its usual mealy-mouthed denials, of course, saying there were ‘no plans’ to pilot such an initiative. But - despite requests from OurNHS - the Department failed to deny the key claim in Pulse’s story - that whilst their might not yet be ‘formal plans’, the health secretary had been in talks about it. Let’s just take one or two moments to imagine how this would work, in practice. Patients go to A&E because they need to – or in some cases, possibly, because they can’t get to see their GP due to extensive GP shortages. Trying to push them back onto already over-loaded GPs doesn’t address the problem, which is one of capacity across the health service. The problem is most visible at the front-line entry points into the NHS – GPs and A&Es – and pushing patients from pillar to post doesn’t fix anything. The plan continues the trend of pushing patients towards under-staffed and extensively privatised out of hours and 111 services. 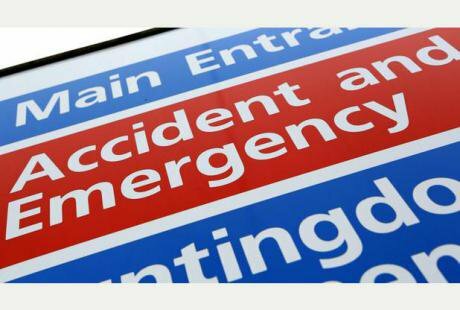 But these services have been heavily criticised by both ambulance crews and emergency medics for partially causing the A&E crisis by referring inappropriate patients – often causing delays to the most urgent patients – so it’s hard to see how they will help, really. Pushing patients onto telephone triage has its risks in any case. Senior doctors have already spoken of their concerns that if you don’t see a patient, you’re in danger of missing the pallor, the tremor, the twitch - the indications that something is seriously wrong. If we think a tick box telephone checklist can always supplant the need for face to face assessment, we’re in the realms of magical thinking. Human beings are not algorithms. The most obvious likely outcome of such a scheme would be patients who feel they need to go to A&E, calling an ambulance so they can. Meaning more resources used than ever. Because, you know, we’ve obviously got plenty of ambulance capacity to spare….(not). Or – given that private firms are showing enthusiasm for moving into ‘urgent care’ and are already running some NHS clinics, and already run a range of private services on NHS sites – perhaps in future the patient walking up to A&E will be told – “go away – or, there is a pay-to-see clinic next door…”. Especially as cash-strapped hospitals – cash-strapped because the government has effectively cut their pay for each operation by a quarter since 2010 - have already been told by Theresa May that the only solution to their financial woes is to, well, sell some land to whoever else wants to develop or run services on it (the Naylor report). It’s a disastrous idea, not least because making A&E harder to access hits poorer patients (who are disproportionately higher users of A&E services) harder. We’re not quite at Greek austerity levels where patients queue outside the A&E on the days its open to the public, as the only way of accessing healthcare – but we’re getting uncomfortably close, if measures like this go through. Earlier this week it was announced that the last bad Department of Health idea – to send all GP referrals to a panel who hadn’t seen the patient, to second guess the referral and cut them by up to 30% - had been shelved for now, under pressure from the BMA amongst others. But it seems, no sooner have we seen off one crazy idea to ‘manage demand’ than an even crazier one comes along. This isn’t ‘managing demand’, as the jargon goes. It’s playing Whack-A-Mole with it.